Luis N. Suárez in 2016.
as high, medium and low level and the aptitudes as favorable, unfavorable and indifferent according to the Scale of Estanones. adherence to pharmacological treatment. The level of knowledge was: high 28.2%, medium 49.1% and low 22.7%, and the skills were: favorable 23.6%, unfavorable 58.2% and indifferent 18.2%. There is no relationship between knowledge and skills (p = 0.247). Only statistical association was found between knowledge and pharmacological treatment (p <0.05). Conclusion: Diabetic patients have a level of knowledge about his chronic complications and his aptitudes were predominantly unfavorable. It is necessary to perform educational strategies to improve the knowledge and skills of diabetics. 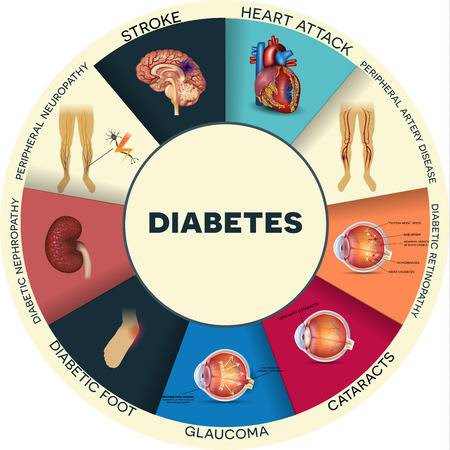 Keywords: Chronic complications; Diabetes mellitus 2; Knowledge; Aptitudes; Correlation. (source: DeCS BIREME).